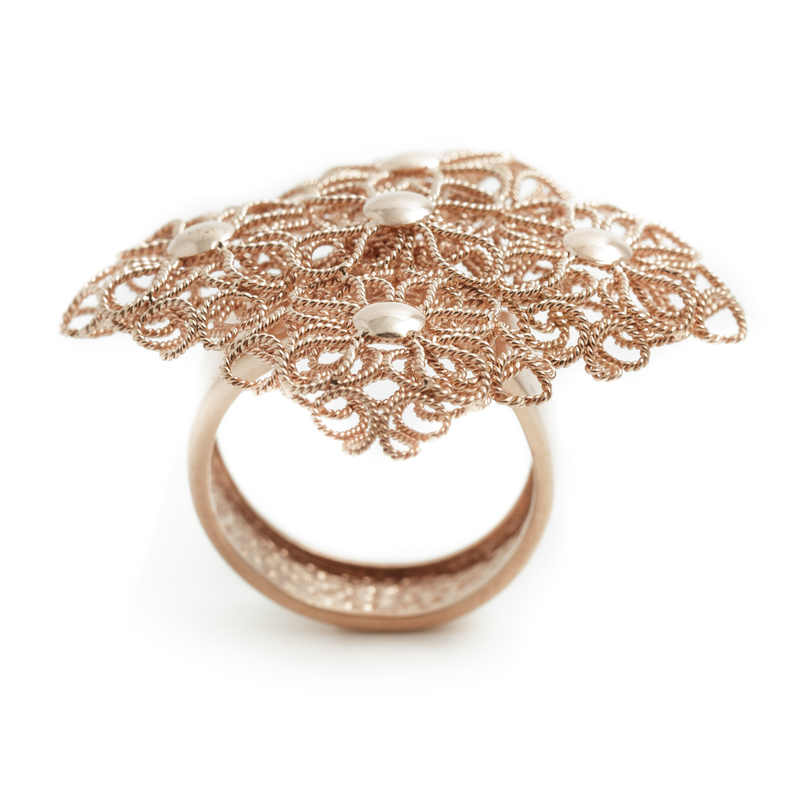 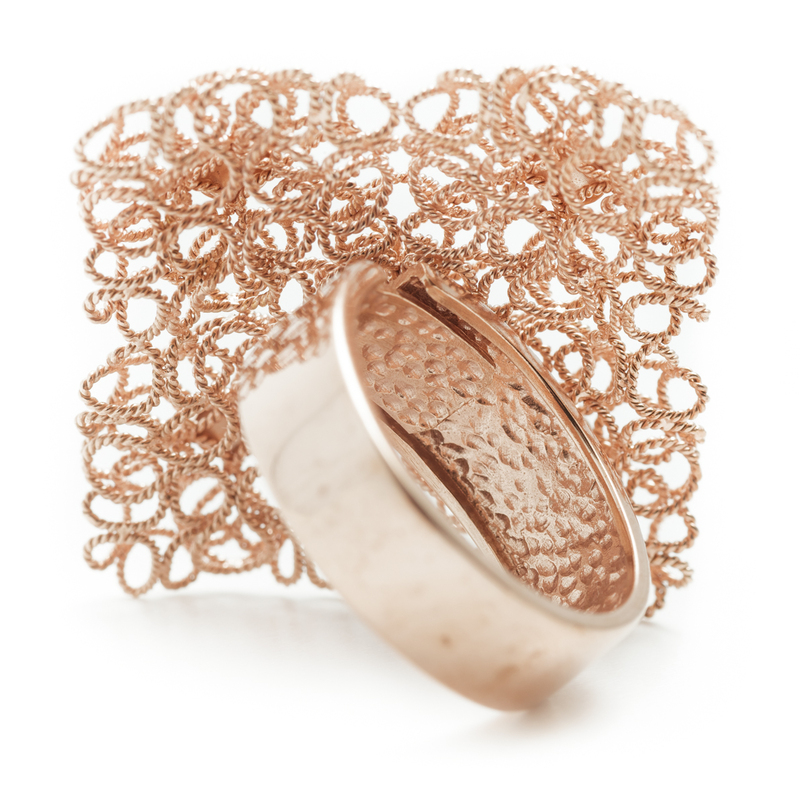 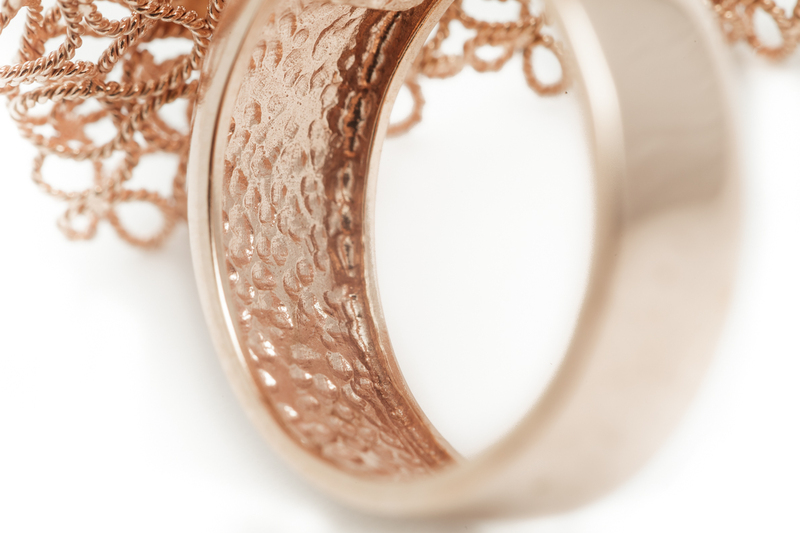 This sophisticated and original copper filigree ring is part of the INKOROcollection, created within the project promoted by Sardegna Ricerche and curated by designer Angelo Mangiarotti. 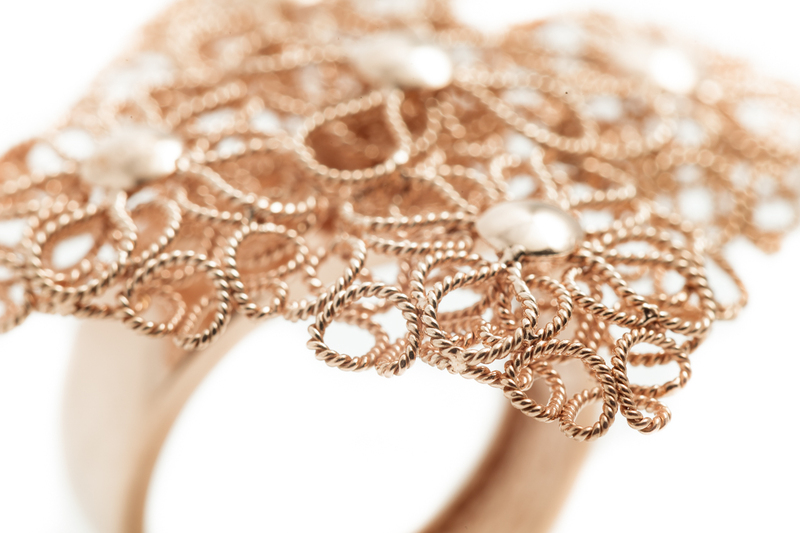 Promoted with the aim of enhancing the precious art of Sardinian filigree, the research project led to the creation of a matrix that features a lightweight and flexible mesh. 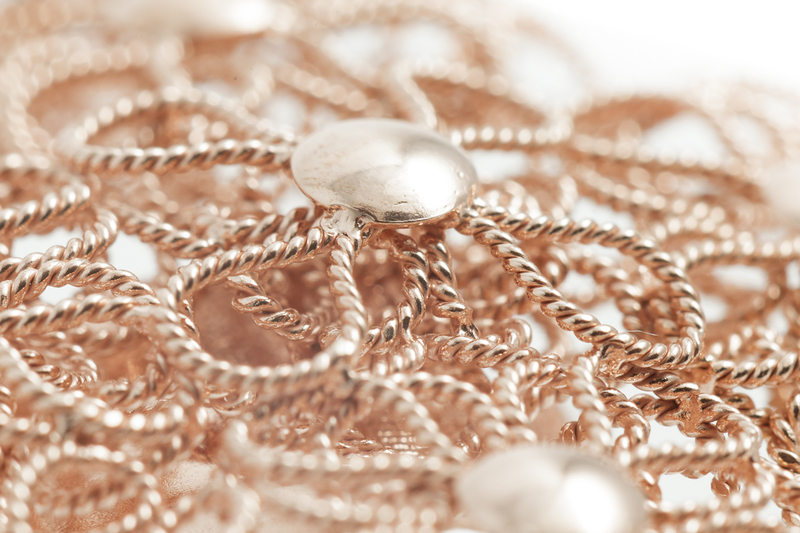 It may be used in infinite and sophisticated combinations, through the connection of small filigree elements, joined together through a particular system of hooks, that releases the individual elements, giving plasticity and lightness at the same time.